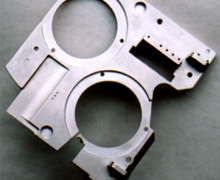 For years, both electroless nickel plating and direct plating on aluminum castings, magnesium, Zamak, and titanium was complicated long process that often ended in failure. SafeGard CC Plating Catalyst revolutionizes the plating industry by simplifying a process that requires less process tanks and less time. Electroless Nickel plating is now easier, less costly and more foolproof with SafeGard CC plating Catalyst. This zincate-free process system is stable, long lasting, easy to use, takes less time to apply and will reduce coating rejects, which increase the throughput of high quality parts. 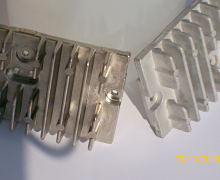 The electrochemical deposition of the “Plating Catalyst” is not directional and once the process starts, the film will deposit itself into any and all recessed areas or small holes. SafeGard CC Plating catalyst is long lasting and requires only small product additions to maintain the proper concentration balance. 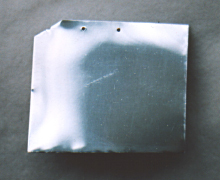 This is due to the fact that the plating catalyst is applied very thin (only 100 – 200 nm). This means you will not have to waste time maintaining and recharging zincate tanks. Furthermore, you won’t need to spend time maintaining zincate inventory and use valuable floor space for storing costly zincate replacement and replenishing chemicals. 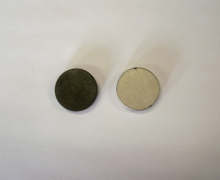 Furthermore, the same SafeGard CC-Plating Catalyst is used for Electroless Nickel and other direct plating materials. Use this on aluminum, aluminum castings, magnesium, Zamak, niobium, beryllium, zinc, and titanium. When forming a copper plating layer over these metals, when using SafeGard CC- Plating Catalyst you will use a simple acid copper instead of a toxic cyanide copper. SafeGard EN-MG is an easy to use long life mid-phos electroless nickel strike bath for use on magnesium and magnesium alloys. Only one product (SafeGard EN-MGMU)is added to water for make-up. Only one product (SafeGard EN-MGAD) is added to tank to replenish bath strength. The SafeGard EN-MG is specifically designed to be used in conjunction with the SafeGard Plating Catalyst. SafeGard EN-AL is an easy to use electroless mid- phos electroless nickel strike bath for use on both wrought and cast aluminum alloys & titanium. Only one product (SafeGard EN-ALMU) is added to water for make-up. Only one product (SafeGard EN-ALAD) is added to tank to replenish bath strength. SafeGard EN-AL formula is designed to work specifically with our SafeGard Plating Catalyst. 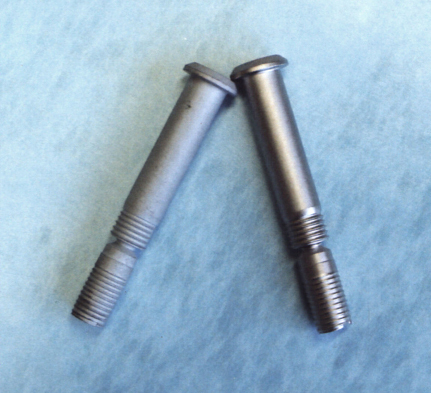 Titanium bolt before and after being plated with "Electroless Nickel"
Sanchem’s SafeGard CC-Plating Catalyst process is now part of the ASTM B253 specification – "Standard Guide for the Preparation of Aluminum Alloys for Electroplating" which also covers the "electroless" deposition of metals on aluminum and its alloys by the use of "zincates". 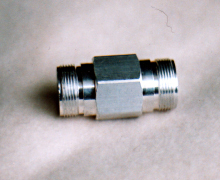 Once applied, the organic based “Plating Catalyst” will more or less seal the metal from the outside elements and may, if so desired, be dried and stored in a clean dry area to be processed at a later date by simply soaking the parts in warm (100 – 120 degrees F) mineral free water for about 15 minutes, dipped in 1% aqueous ammonia for about ten seconds and then rinsed again to remove excess ammonia before going into the plating bath. Parts may be processed in a rotating basket if so desired. Safegard CC-3400seal #2 is a RoHS compliant chromate free seal used on plated and unplated aluminum, zinc and magnesium. This final seal will help you achieve maximum corrosion resistance and paint adhesion.